Don’t you hate not having the garden tools you need when you need them? You just came out to water and spot a nice lettuce, but you don’t have a knife on you to cut it. Or you want to clip off a broccoli head but don’t have your garden shears. So you try to harvest anyway, and you end up breaking a stem or accidentally pulling out a plant. Even if you plan ahead, it takes 10 minutes of running between the front door and the back door and the garage to find your tools before you head out to the garden. And then you accidentally leave them out in the weather because your arms are full of produce. 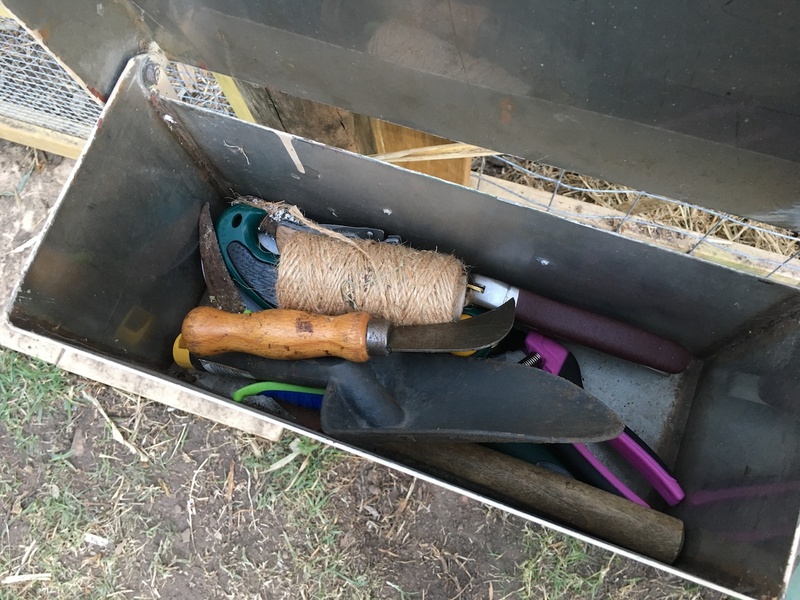 Wouldn’t it be better if you just kept your garden tools in the garden, right where you need them? I picked up this stainless steel letter box from my local tip shop for $5, including the post. It’s sturdy, weatherproof, and large enough to store all the garden tools I normally need. There’s even enough space to keep a set of gloves in there. I’ve put it outside the door of the garden bays for convenient access. I can grab the knife and garden shears when I come out to harvest dinner. It’s simple to drop them back in when I’m done. If I see a broken branch that needs trimming, I can grab the pruning saw and fix it properly. I keep a ball of string in there, too – you never know when you’ll need to tie something up. I don’t know about you, but if I don’t have the tool I need, I always forget to come back and do these little jobs! Do you find that spiders end up in there? 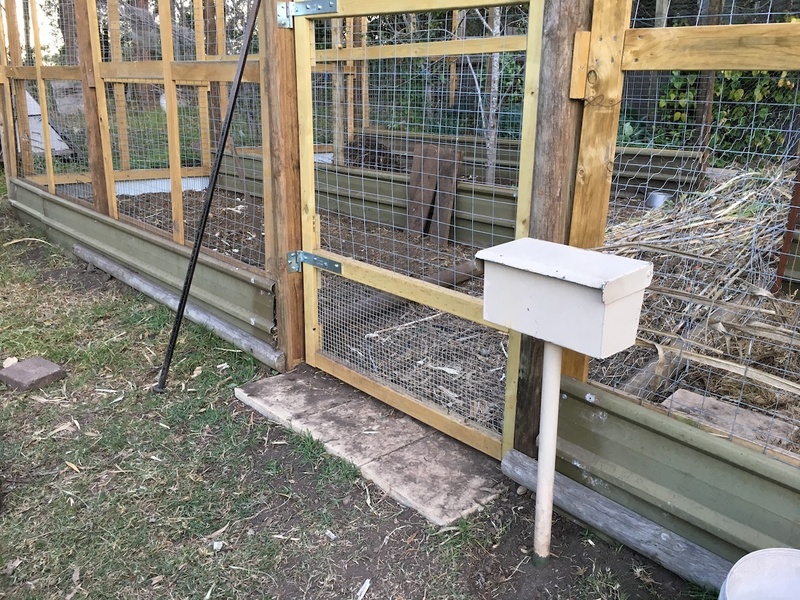 We’ve had a regular parade of ants setting up home in the actual letterbox and I like this idea but the redbacks do too. Or are you opening and closing it enough that they stay away? I haven’t had any spiders in there yet, but I’m sure I will with time. The top opens fully, so it’ll be pretty easy to clear out (not like those rear-opening letterboxes! ).